People with intellectual and developmental disabilities face many challenges, especially when it comes to healthcare. Though well-intentioned, many medical professionals often don’t have the training to properly assist people with disabilities. Even health insurance doesn’t always provide appropriate care. The support of caregivers and families is vital to overcoming these barriers. Whether you are an individual with disabilities, a caregiver or a family member, Fidelity House CRC is dedicated to providing you with the support and real world solutions to close the healthcare gap. 1. 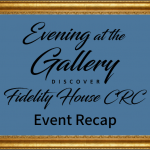 Why Listen to Fidelity House CRC? In a typical year, Fidelity House CRC nursing-staff accompanies individuals with disabilities to over 2,100 healthcare appointments. These visits include primary care and specialty physicians, dental appointments, sessions with psychiatrists, psychological counselling sessions, diagnostic tests, emergency room visits, walk-in urgent care, and others. Our 15 nurses have a combined 75 years of experience working specifically with developmental disabilities. From nonverbal signs and symptoms to distinguishing pain from difficult behavior to dealing with seizures and specialized diets, Fidelity House CRC nurses have developed creative, out-of-the-box solutions. Fidelity House CRC is excited to present a series of articles designed to provide health-support advice for people with intellectual and developmental disabilities and their caregivers. We serve many people with unique and complex medical needs on top of intellectual and developmental disabilities. With proper medical care, every other aspect of daily life improves. We want to share our insights, gained from practical experience, so that each individual with disabilities can get the healthcare he or she needs to live a rich and meaningful life. 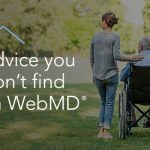 Read the first article in the series: Advice You Won’t Find on WebMD® or to access our archive of articles click here. 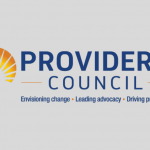 If you would like more information or have specific questions about health care for people with intellectual and developmental disabilities contact us at familysupportcenter@fidelityhhs.org or click here. 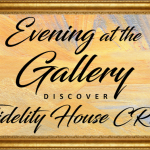 Thank you to everyone at Fidelity House for making it a great vacation week …the field trips and so many opportunities to connect with other families for friendship.